During the fall and winter months it can be difficult to find quality ripe fruit for a fruit salad. And when you do find some, you pay an arm and a leg. This is a fabulously simple salad you can whip up in minutes using some seasonal fall fruits. 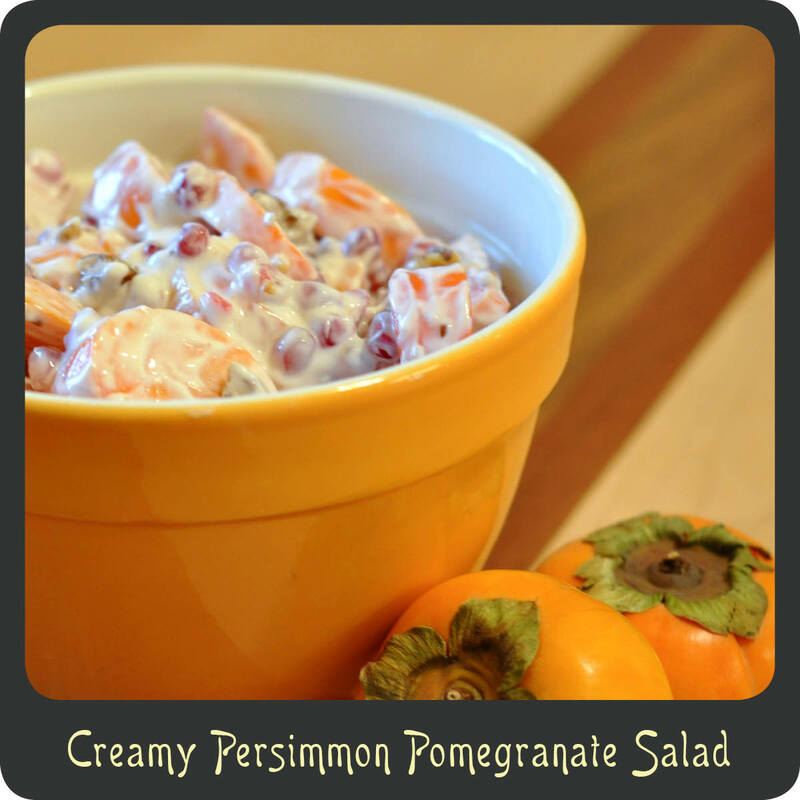 This sweet and creamy salad is great for breakfast or even as an addition to your Thanksgiving meal. I think the walnuts and pomegranate seeds give it a nice little crunch and best of all, it is really healthy! Note: You may or may not find seeds in your persimmons. I have found them both ways. When you chop them be sure to keep a watch for them and discard any you find. Combine the persimmons, pomegranate seeds, and walnuts in a medium bowl. In a small bowl, stir together the honey and yogurt. Pour the yogurt over the fruit and gently stir to combine.